Together, through a lot of sweat, a bit of blood, and a few tears, we have turned the houses of 91 families in Puerto Rico back into homes. We have only been able to do this because of you, our volunteers, through your hard work and your dedication to NECHAMA’s mission. What a phenomenal achievement! We cannot thank you enough for the energy you have put into giving these families in Puerto Rico a piece of their life back. As we mark the 1 year anniversary of our time in Puerto Rico and reflect on how much we have accomplished, it is clear how much work is still to be done. Therefore, we are celebrating this anniversary and all our accomplishments while looking forward and planning the best ways we can most resiliently assist the communities and families of PR on their path forward. 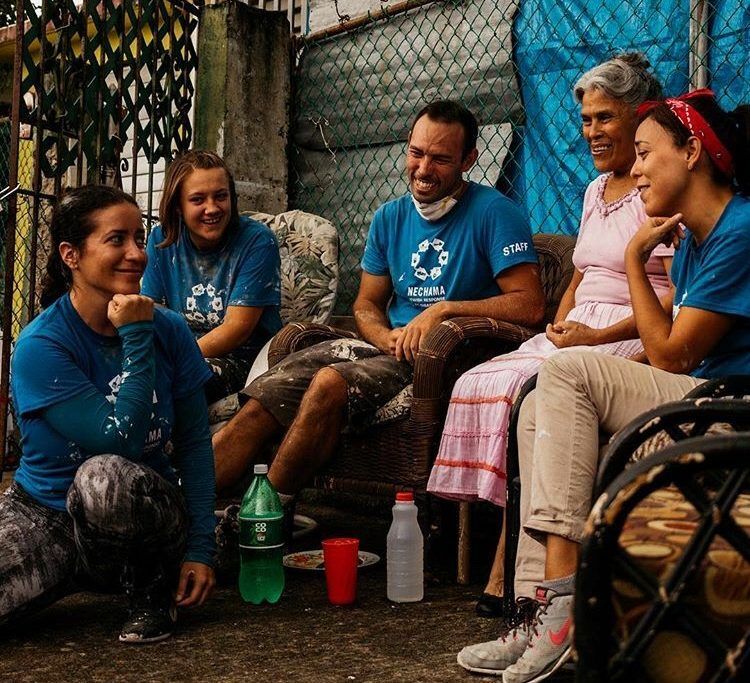 We know that many of you would like to stay involved in NECHAMA’s mission in Puerto Rico, even if you are not here putting on work boots every morning (for that, we are continually amazed), and we have an opportunity for you to do just that. We need to raise $20,000 for the month of April. If every NECHAMA volunteer gives $10, we will reach our goal and we can continue helping Puerto Rico, one home at a time. We cannot do any of the work here on the ground without volunteers like you, who have shown such tremendous compassion for the people of Puerto Rico. We appreciate everything you have done already, and we hope that you will continue to support our project.